Comprehensive, authoritative and easy to digest, Econsultancy’s award-winning research offers practical advice on all aspects of digital business, marketing and ecommerce. Econsultancy subscriptions are designed to help individuals and teams make the most of digital. Our market-leading Daily Pulse newsletter is an invaluable source for digital and ecommerce analysis, inspiration and learning. We need this to email you your Daily Pulse. We like to be personal when we contact you. Knowing where you work and what your role is means less noise. Latest digital marketing and ecommerce insight from multi- award-winning team of analysts and experts. Econsultancy's Digital Cream is one of the landmark industry moderated roundtable events for marketers. Econsultancy regularly hosts exciting and informative events for multi-disciplines all over the globe. Regular training courses run globally for individuals across all digital topics including Search, Ecommerce, Email, Analytics and more. Your team is not like any other. You're addressing specific challenges and opportunities with a particular skill set. That's where our bespoke, in-company digital training comes in. Econsultancy's elearning modules offer a comprehensive and convenient introduction to core digital marketing and ecommerce skills when you or your team need to get up to speed quickly. Identify your knowledge gaps and compare yourself with your peers. Find the ideal training course for you. Up-to-date and relevant training from our passionate researchers, analysts, consultants and practitioners. Econsultancy's Digital Transformation programme helps companies identify the gaps between where they are and where they need to be, then closes them. Determine where you are today and where you need to be. Turn goals and assessments into outcomes through business-aligned programmes. We work together to help you improve your digital performance where it matters most. Econsultancy's Digital Transformation helps the world's biggest brands accelerate their journey to digital excellence. Bringing together the most switched on candidates and the most forward-thinking brands, Econsultancy Jobs is a hub for the movers and shakers of the digital world. Find your ideal career move within digital and ecommerce or recruit ambitious, knowledgeable people. Publish your CV and let recruiters find you. We'll send you the latest jobs, relevant to you. Econsultancy Jobs is the UK's best specialist source of digital marketing and ecommerce positions. To get found and noticed you’ll need a Full Profile. Get a Full Profile today and you could benefit from up to 400 leads per year. Buyer's Guides, RFPs and Agency Top 100 to help you find a supplier. If you're transforming your organisation's digital capabilities, skills and resources, talk to us. Econsultancy's Supplier Directory contains over 2,000 suppliers and is growing all the time. Enter a search term such as “mobile analytics” or browse our content using the filters above. That’s not only a poor Scrabble score but we also couldn’t find any results matching “”. Check your spelling or try broadening your search. Sorry about this, there is a problem with our search at the moment. 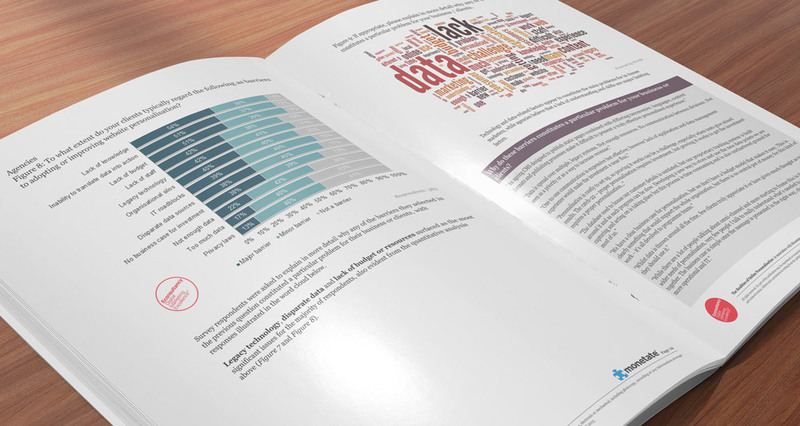 Econsultancy's first Realities of Online Personalization Report, sponsored by Monetate, is based on a survey of more than 1,100 digital and ecommerce professionals working for brands and agencies. The research looks in detail at what is driving online personalization, the tactics and types of data being used to tailor the online customer experience and the barriers to success. This year's study shows that while companies see personalization as a high priority (the vast majority of respondents agree that 'personalization of the web experience is critical to current and future success'), most are stuck in the slow lane when it comes to implementation. A large proportion say they understand the importance of personalization, but don’t know where to start and how to approach it. Primary targets – existing customers or new visitors? Please enter your email address below and we’ll send you an email right away, unlocking your free sample of this Econsultancy report. If you haven't received this email, please get in touch. Already an Econsultancy subscriber? Log in to your account to download the full report now. If you haven't received this email within a few minutes, please feel free to get in touch. Sorry about this, but something went wrong our end. Please feel free to try again or to get in touch. Econsultancy subscribers have full access to all our online research. Over 30,000 stats and growing. To keep you on top. Covering 100s of inspiring stories. Get the most from our resources. Already a subscriber? Log in to access this report. Econsultancy subscribers have full access to all our online research as well as a host of other services designed to help save you time, make better decisions and look smart in meetings. Copyright © 2016 Econsultancy.com Limited. All rights reserved. This material is for personal use only.